Angi has been having some fun with sliptrailing. For only having done a few pots and some small jewelry pieces she’s getting good and can only get better. 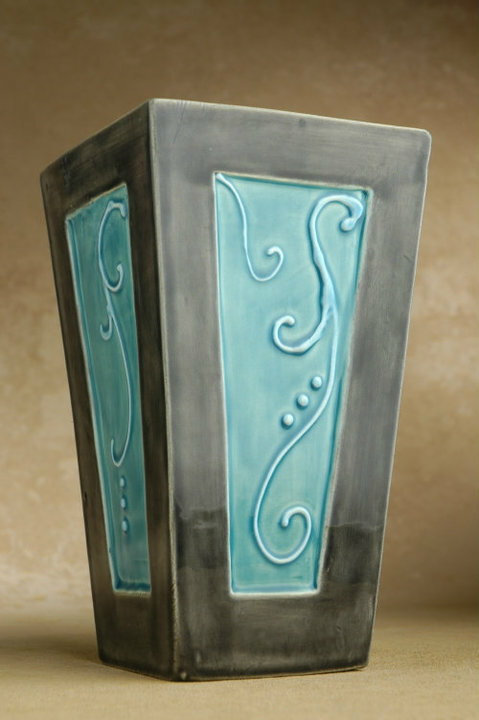 These pots are made from earthenware clay that took a 1/4″ trip through the slab roller before being cut into sides and bottoms using a template. Angi scraped out the recesses then I mitered the joints using our 45° trim tool. After assembly and allowing to dry a bit under cover Angi decorated them.